... in the comfort of your own home. Artificial nails are an extension of the natural nail for people who find it hard to grow the length and strength of their own natural nails. There are various types of artificial nails available, Acrylic nails are the most hardwearing and can be soaked off, Gel nails are similar to Acrylic in appearance, not as hardwearing and need to be buffed off using a hand file and Silk Wraps which are mainly used to add strength to the natural nail. All of these treatments can help to conceal damaged, short or broken nails. They can also help with nail biting and can hide bitten nails. All artificial nails should be removed professionally to prevent damage to the nail plate. Allow up to 2 hours for application. Helen did a really professional job and showed excellent attention to detail. Really pleased with the result! This treatment can help to improve the appearance of the hands and nails. It can range from a quick shape and polish if you are pushed for time to a full luxury treatment using paraffin wax or heated mitts. 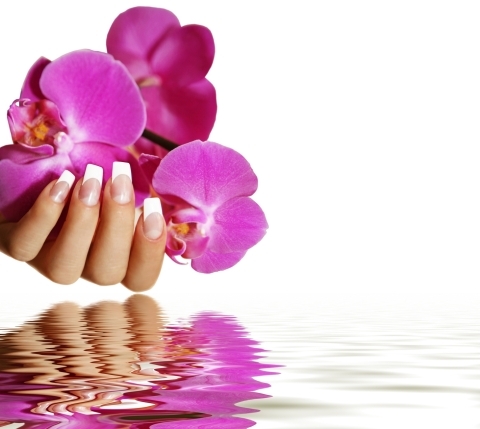 Standard manicures include, soak, cuticle work, hand and arm massage, shape and polish. Luxury treatments include the above and also exfoliation prior to the paraffin wax or heated mitts being applied. 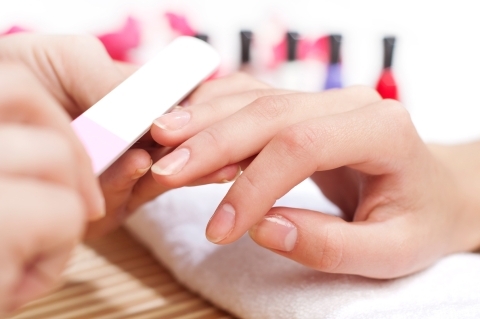 Allow 45 minutes for a standard manicure and 60 minutes for a luxury manicure. Really pleased with my nails, everything has been explained to me. Nails have a beautiful finish. A pedicure can help improve the appearance of the feet and nails. The treatment is very relaxing and can help tired or aching feet, softening hard skin and removing dead skin cells. You can have a quick shape and polish, a standard pedicure which includes soak, cuticle work, leg and foot massage, shape and polish or a luxury pedicure which includes the above and also exfoliation before paraffin wax or heated booties are applied. Allow 45 minutes for a standard pedicure and 60 minutes for a luxury pedicure. 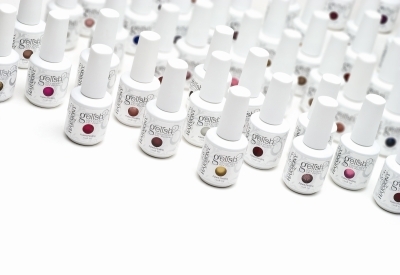 If you want polished nails that last for up to three weeks without chipping or peeling then Gelish is for you. It applies like a polish, performs like a Gel and soaks off in ten minutes with no damage to the natural nail. It can also be worn over nail extensions. Thoroughly enjoyed this treatment "excellent!" Nail Art is a fabulous way to finish off any nail treatment. This can be done on an individual nail or on the whole hand or foot. I can tailor designs to your specification, if you are looking for something to match a particular outfit or if you are just looking for something that will match everything. Timing will vary depending on the complexity of the design. Love my nails, really good treatment! This is a great way to celebrate a birthday, hen party or just to have fun with the girls. Go on have a party with a difference! Helen gave me some useful advice on manicuring and gave me a five-star treatment! 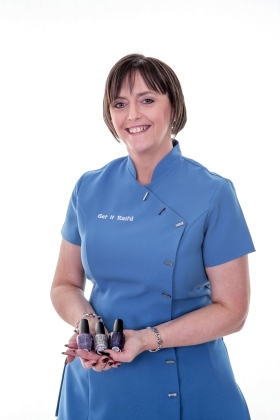 I'm Helen Banks and my company Get It Nail'd is a mobile nail service offering nail treatments in Gateshead, Newcastle and the surrounding areas. I specialize in evening and weekend appointments to suit your needs. As I'm a mobile technician treatments will be carried out in the comfort of your own home, no need for you to travel to the salon, wait around for your appointment or damage wet nails on your way home. I do a wide variety of treatments to suit all nail types, whether you are lucky enough to have good natural nails that only require a manicure to Acrylic or Gel Nail Extensions that can hide nail biting, thin, weak or damaged nails. I also do luxury treatments if you want to spoil yourself for a special occasion. I'm City & Guilds qualified, fully insured, a member of Associated Beauty Therapists and use genuine professional products from NSI, EzFlow, Leighton Denny and O.P.I. Thank you for taking the time to view my website. If you would like an appointment please ring me or use the contact form. Copyright © 2019 Get It Nail'd. All Rights Reserved.